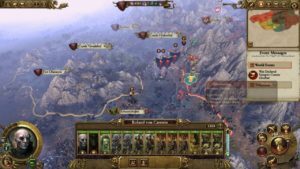 Total War: Warhammer review: WAAAGH! It’s incredible how many Warhammer games have come out in the past couple year alone, from the thrilling Vermintide to the gruelling Mordheim. Now, the extremely anticipated Total War cross-over with Warhammer has finally released. While not a die-hard fan of either, the combination was more than enough to pull me in at the start. And coming out on the other side, I’m still really digging Total War: Warhammer. 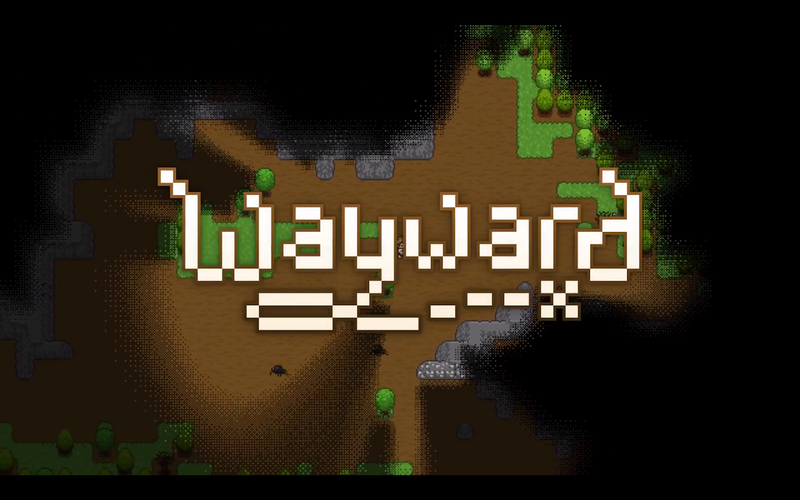 Right from the beginning, there are tools to help new players. There is an integrated ‘guide’ that allows you to read up on strategy, all the different units, and how to control and play the game. Unfortunately, the guides themselves are online. When opened up in-game, they pop up as a custom ‘browser’ that allows you to scroll through the guide. Having the pages take a few seconds to load rather than being instantaneous creates a less than streamlined experience, especially when it comes to simply wanting to read up on in-depth unit descriptions or statistics. With that said, Total War: Warhammer is a new experiment for the Total War series. Where the series developed with games more focused on ‘historical accuracy,’ Warhammer marks the introduction of a fantasy world. 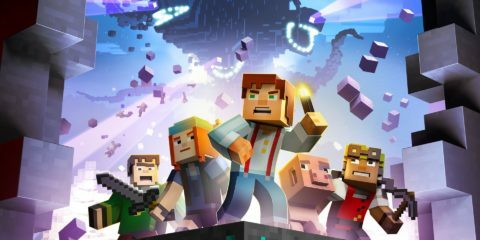 This has obviously caused some division among die-hard fans of the original series, fearing that having the fantasy elements would undermine the ‘realism’ of the game. Instead, Total War: Warhammer embraces this ‘non-realistic’ style in order to create some extremely fun and interesting battles. No longer quite as restricted, Creative Assembly let their creativity flow while still respecting the tough strategical style of Total War and Warhammer’s source material. In Total War: Warhammer, you play as the ‘leader’ for one of the current 4 factions: The Empire, Greenskins, Dwarves, and Vampire Counts. 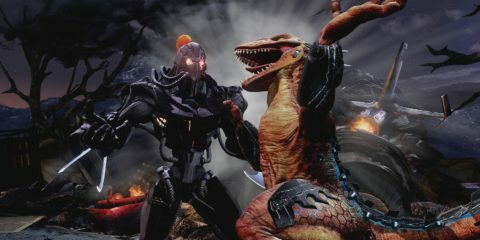 A fifth faction, the Chaos Forces, is available as DLC. The Empire is a balanced faction of humans who can easily adapt to any sort of enemy army compositions. Greenskins are a barbaric and battle hungry army that focuses on having brute strength. Dwarves are very defensive with all their gadgets and machinery. Vampire Counts are keen on increasing the number of their army units to overwhelm and crush the opposition. And the Chaos Warriors introduce ‘horde’ mechanics in the game, allowing players to set up camps everywhere on the campaign screen. There have been talks about adding all the Warhammer factions, but that’s still behind Creative Assembly’s bag of tricks. Knowing the Total War series, there will be more DLC factions to be had! Hopefully, if each faction is released as DLC, they will be just as fleshed out as unique and interesting as the Chaos Warriors are. Obviously with only 5 factions available right now, it means that the units are all unique from other factions despite the similar types. For example, while the Empire have swordmen, the Greenskins have goblins as their respective melee infantry. Even then, they all have their own quirks and abilities that enable them to be efficient according to their own races. An example is the infantry’s ‘hidden’ ability which will allow them to hide in the tree line to set up ambushes. There are two modes you can play on when you start the game, ‘campaigns’ and ‘battles’. In campaign, you will build armies and conquer the campaign map. While in battles, you are thrown right into a pre-generated battle condition with both armies formed. The various scenarios consist of some of the famous battles that exist from the lore, including the Battle of Bloodpine Woods and Battle of Hel Fenn. Battle mode is designed for players to enjoy quick fights and get a feel for key parts of the story for each character. The more interesting section of the game however, is campaign. To be victories, you really have to understand what each faction excels in and what they don’t . Spending the majority of my time fielding a Vampire Count faction, a race that relies on many little mechanics such as vampiric influence and raising the dead. In my foolish lust for a great army to mob and swarm enemies, I was careless in overextending past my available resources. I then had to pull back and disband units in order to get back to a more manageable position. Having to cut back then caused my power to drastically reduce and I discovered I had made a critical mistake. Being able to see problems, and dealing with them, is a hallmark for a well-crafted and well-designed strategy game. Total War: Warhammer gives you all the advice you’d need to play the game. But in order to become better, you have to experience the crushing defeats and dire human error first before you start learning and adapting. Most of the times these mistakes lead to a realization about unique faction mechanics such as the attrition mechanic, the Empire and Vampire Counts not being able to capture territories unless it’s other humans/vampires. These lessons make the game a compelling and complex experience. When it comes to aesthetics, the the campaign map looks magnificent. The battlefield is sculpted to always make some interesting map features. a nice little design choice is also that the same unit within the army are made up of multiple different models . It leads to a sense of variety and a feeling of uniqueness when you’re throwing your units at the enemy. Building on the notion of variety, there is an air of progression when it comes to lord characters. For instance, as you gain ranks and complete battles, you might be able to unlock mounts for them add extra speed or other stat bonuses. Or you could find items or followers after battles, all of which add to a truly unique experience. Just like many recent games, Total War: Warhammer did not have a flawless launch. Upon release, there were severe loading issues and problems, reportedly connected to the Nvidia drivers. Fortunately, the quick response and fix brought the game right up to speed and the issues seem resolved. Finally, the pace of the game is to be commended. Unlike the slower, drawn-out pacing usually associated with large strategy campaigns, Total War: Warhammer isn’t slow at all. It feels fast and responsive. It’s paced at a steady but quick speed and generally keeps my attention for just the right amount of time. Furthermore, if you do feel like the game is taking too long in the case of say, moving units into position around the map, you can easily speed it up using the in-game speed controls. Total War: Warhammer is another notch on Games Workshop’s belt of successfully used intellectual property. It succeeds by taking features from previous games and injecting them into a world that brims with absolutely delightful lore and brutal battles. It’s a game that ever so often makes me regret not diving deeper into the Total War games before. Then I remember, I’m playing what could very well be the best one in the series.